Any time you need hood cleaning your business is put on hold, losing you profits and productivity; it’s not possible to operate a commercial kitchen while we’re cleaning the exhaust hood. That’s why Facilitec West provides a Key Access Program so you can get the fire safety compliance services you need without interrupting your business. What is the Key Access Program? Provide us with a key to your business, to keep secure for future maintenance. Our staff member picks up the key before service and returns it immediately after. Set up a lockbox so our team can securely access your business key. 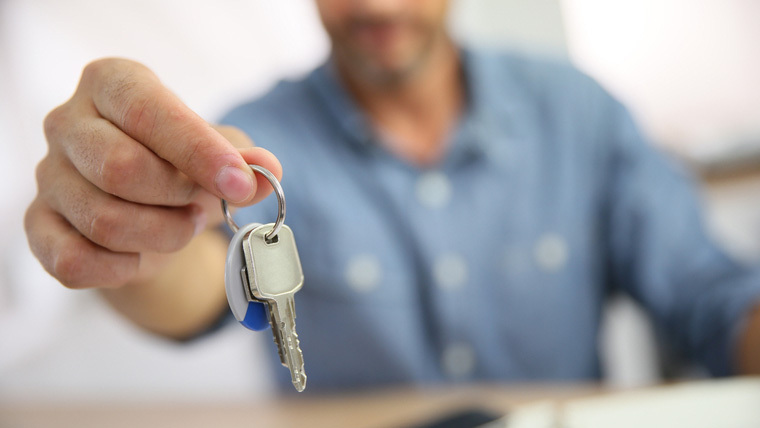 With access to your business key, we can service your facility at a time when you’re already closed – we won’t interrupt your operating hours or cost you profits while we clean. Your business will receive vital cleanings completed outside of business hours – so you can continue to do business without disruption. Our service associates are bonded, highly trained, and obsessively detail-oriented, so you can rely on them to treat your facility with the utmost care. Our team will make sure your business is kept NFPA compliant and fire safe. Imagine the relief you will feel when you arrive the next day, with a clean kitchen exhaust system, safe and ready for another productive day. Ready to Take Advantage of the Key Access Program? If secure, convenient, overnight service sounds right for your business, give us a call! We will gladly answer your questions and help you determine which key access option is best for you. Call 888.463.2293 today to enroll in the Key Access Program.